The University of Auckland Swallowing Research Laboratory is currently located at Tamaki Campus in the Discipline of Speech Science, School of Psychology, Faculty of Science and sits as one of the Clinical Neuroscience Research Teams in the Centre of Brain Research. Dr Anna Miles, PhD, a speech-language therapist leads the Swallowing Research Laboratory in close collaboration with Dr Jacqui Allen, a Consultant Laryngologist in the Surgical Department of the Faculty of Medical and Health Sciences. The Swallowing Research Laboratory at The University of Auckland strives to improve the lives of people with swallowing difficulties through improved assessment, treatment and medical education in the field of dysphagia. The laboratory hopes to reduce the risks of pneumonia and death associated with swallowing difficulties as well as improve the quality of life of people who struggle with this condition. The team currently collects data on patients referred for swallowing assessment across all aetiologies including motor neuron disease. This allows us to assess the specific effects of motor neuron disease on swallowing in comparison to other diseases and to the healthy population. 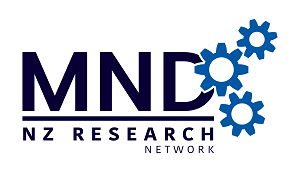 A number of our treatment studies have potential to be effective for people with motor neuron disease and we are currently seeking doctoral funding to support this work. The University of Auckland Swallowing Research Laboratory has strong international collaborations with University California, Davis and University of Queensland among others. Internally, it works between Faculty of Medical Health Sciences, Food Science and Psychology. The Swallowing Research Laboratory has an increasing database of videofluoroscopic swallowing studies and endoscopic swallowing studies of people with motor neuron disease carefully mapping swallowing physiology across and within patients. The Swallowing Research Laboratory is an enthusiastic group of academics, clinicians, doctoral students, medical students and speech-language therapy students.